AGP Plastics was started in 1963 as the manufacturing arm of a contract architectural glazing company that had an interest to diversify its activities. Starting with the fabrication of silk screen decorated, ceramic fired small appliance parts, under the original name of Artistic Glass Products, the company quickly saw a market need to be able to strengthen such glass parts for product reliability and customer safety. Acquiring chemical strengthening technology, which was at the time little more than laboratory theory, AGP went on to pioneer the techniques and know how necessary to apply chemical strengthening technology to high volume commercial applications. This included our original business of small consumer appliance parts and later to special grinding and machining operations for photocopier and other special near-optical applications. 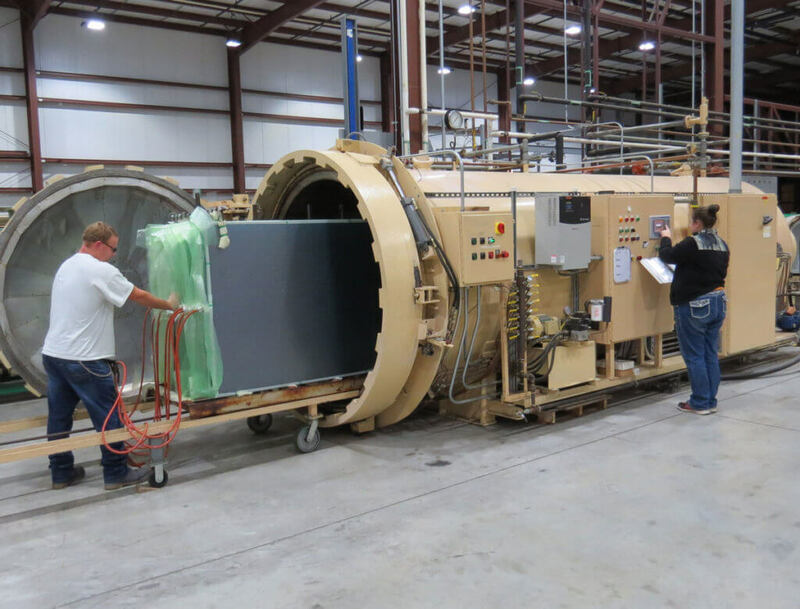 AGP continued as a leader in this business by expanding into the then emerging technology of thermal tempering targeted at the very small and thin glass parts of the appliance industry. In the late '70s AGP saw a steady growth in the use of its chemically strengthened glass for architectural and security applications and especially when laminated glass was called for. AGP began to see a need for a stronger, more reliable, less expensive and easier to laminate and fabricate interlayer material than was presently available to supply these growing markets. Applying some of the then latest developments in polymer technology, AGP developed the necessary chemistry and extrusion and created and patented the ionomer based interlayer called Noviflex®, a product which has revolutionized the security transparency business. With a totally integrated production facility AGP extruded the interlayer, strengthened the glass and fabricated the finished laminates to supply the rapidly expanding architectural security market of the '80s and '90s. As natural progression in laminated security glass products, AGP began providing high security and ballistics resistant glass for the automotive security market. Laminated bend glass for special purpose and military vehicles as well as armored passenger vehicles incorporated not only our Noviflex® interlayer but also our emerging embedded wire technology for high security heated windshields and sidelites. Today AGP Plastics has focused its business on providing Noviflex® interlayer to glass laminators interested in producing low, medium and high security laminated glass. Noviflex® finds a particular application in attack resistant, blast resistant, ballistic and vandal resistant architectural transparencies, and has the advantages of reliability, clarity and cost over many of the competing products. AGP has also found a niche producing wire embedded heated interlayers for customers requiring heated laminated glass primarily, though not exclusively, in the transportation market. AGP is perhaps the only producer of embedded wire mats that can claim excellent reliability and quality when shipping and exporting these interlayers to distant customers. AGP can also boast of improved optical characteristics when embedded wire is combined with Noviflex® interlayer. In 1940, our original company was founded. We specialized in light glass parts fabrication, auto glass replacement, and mirror production. We started commercial architectural glazing. Artistic Glass Products Company is established. Moved to a new building on Kumry Roadd in Trumbauersville. At that time we were diamond drilling, silk screen printing, and ceramic decoration of flat glass parts. Established new name - AGP Plastics, Inc.
AGP Acquires DuPont Company Contract for the extrusion of SGP - SentryGlas® Plus.